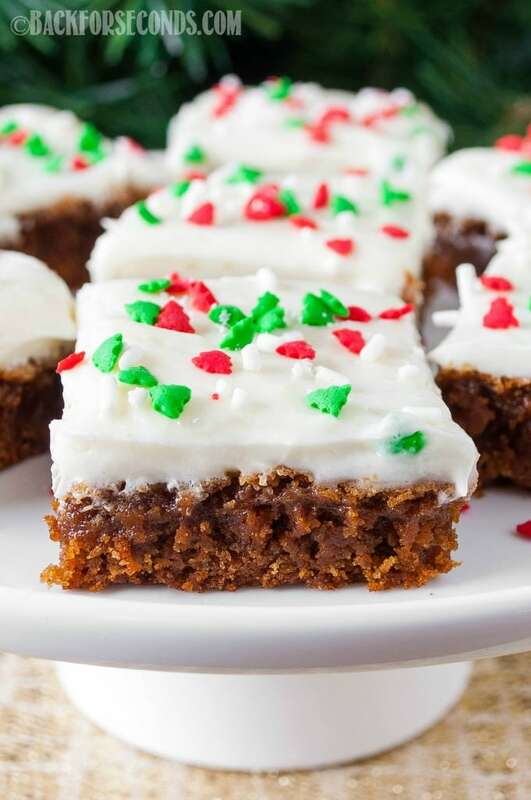 Soft and Chewy Gingerbread Bars with Eggnog Frosting are an easy Christmas dessert that everyone will love! The warm, festive flavors bring comfort and joy! 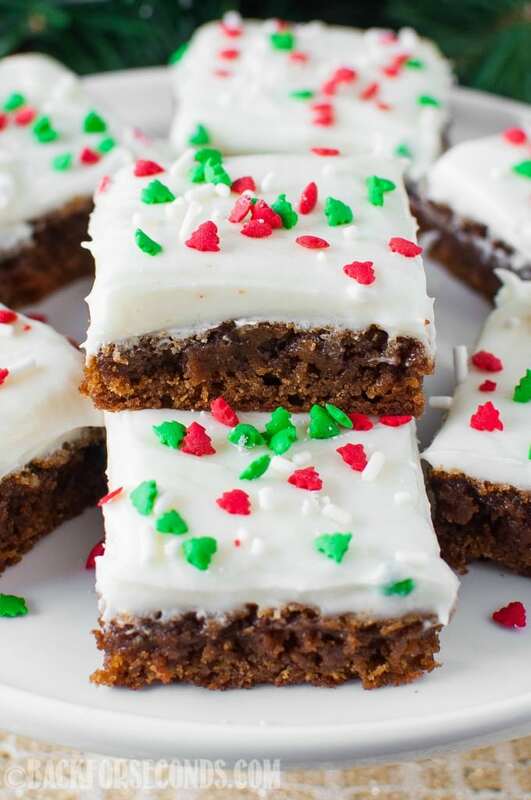 Forget about those hard, dry, cut out gingerbread cookies you are used to, and instead whip up a batch of these super easy, soft and chewy gingerbread bars! The combination of rich molasses and ginger with the creamy eggnog cream cheese frosting is simply divine! Christmas baking is in full swing in our home, and my kids and I are having so much fun! The other day was so nice and sunny (albeit cold), and I took the opportunity to shoot a quick video for you all to show you how fun and easy these bars are to make. 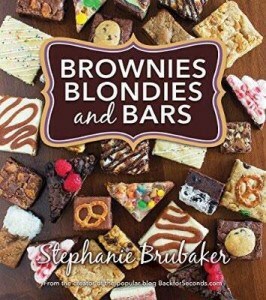 The recipe comes from my cookbook, Brownies, Blondies, and Bars (on sale now!). I added the eggnog frosting for a extra festive touch! « The ULTIMATE Christmas Dessert Guide! Cookies, Candy, Fudge and More! 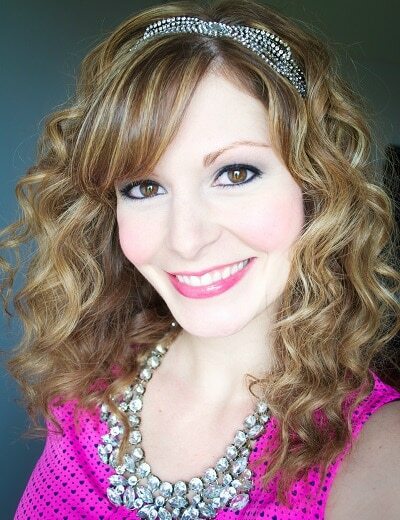 Great minds think alike, I just posted a recipe for gingerbread brownies with eggnog frosting! Oh yeah I am all about that egg nog frosting! Do you use fresh grated ginger or some other form in the recipe? I use ground ginger in this recipe. Enjoy! Plan on making for neighborhood party, did you use dark brown sugar and dark molasses or light? I used regular molasses and light brown sugar, however, you can use dark and it will have a deeper flavor. Enjoy! These look fun, festive and delicious! Definitely going to give them a try. I love the Gingerbread and Eggnog combo!